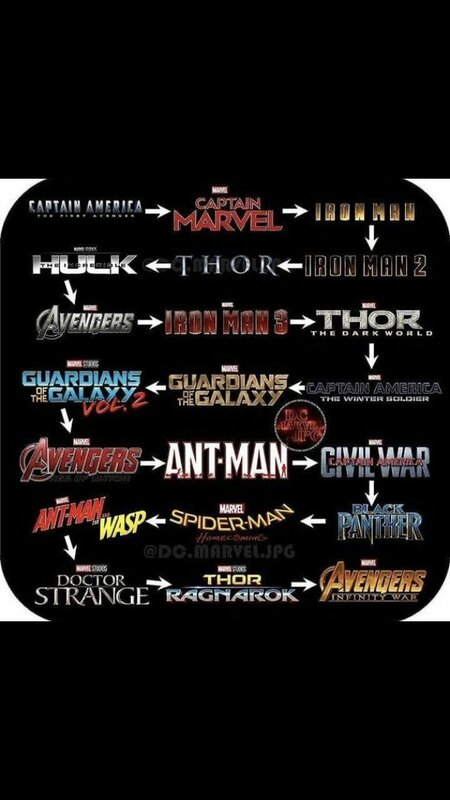 Mrs Dim found a graphic very much like the one above soon after we saw the brilliant “Captain Marvel” at the cinema. Since, like everyone else, we were waiting for “Endgame” to end the misery following “Infinity War”. it seemed like a good idea to work our way through the movies again, following this sequence. We always liked the original Captain America movie, with Haley Attwell giving a star performance, and Tommy Lee Jones underplaying it brilliantly. Another family favourite is JJ Field, who the Weasels have loved since “Northanger Abbey”. I’m still amazed by the weedy young Steve Rogers, and while I know it was done with CGI, it hurts my head. 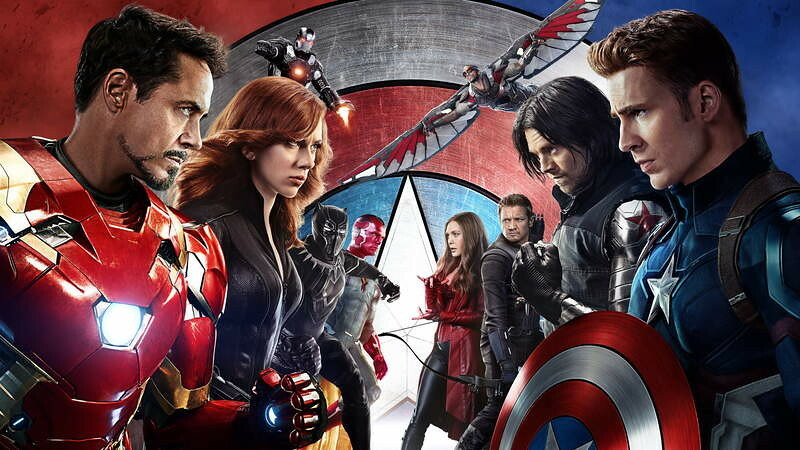 Like Captain America, time doesn’t seem to have affected this movie overmuch. Mrs Dim pointed out how much of a jerk Tony Stark really is in the movie, how unlikeable. His transformative event, the inciting incident of his storyline, really is traumatic and shapes his character for the upcoming movies as well as this one. It seemed wrong to watch this movie next, with so many different characters to get through. Still, that’s what the instructions said, and we follow the instructions, no matter what. There’s a lot of relevant parts to this movie, though I understand the criticisms levelled at it: At times the story meanders a little, and the logic of Tony discovering the element in a coded message from his father is…a reach, to be fair. Still, it underlines that Tony’s ego is unblunted, and causing trouble, something that gets dealt with in later films. Thor always seemed an unlikely choice for a superhero, and I wasn’t that enthusiastic about seeing the movie. Chris Hemsworth is a great performer, though, and the movie is surprisingly funny at times. My family can’t get over Loki, of course. It’s fun, and it still looks good. I admit, we skipped this one. Mrs Dim wasn’t interested in watching it (I don’t know why) and I had seen it quite recently. I liked Ed Norton’s performance, I have a weakness for Liv Tyler and Tim Roth is always great value. This is one of my favourites of the whole bunch. 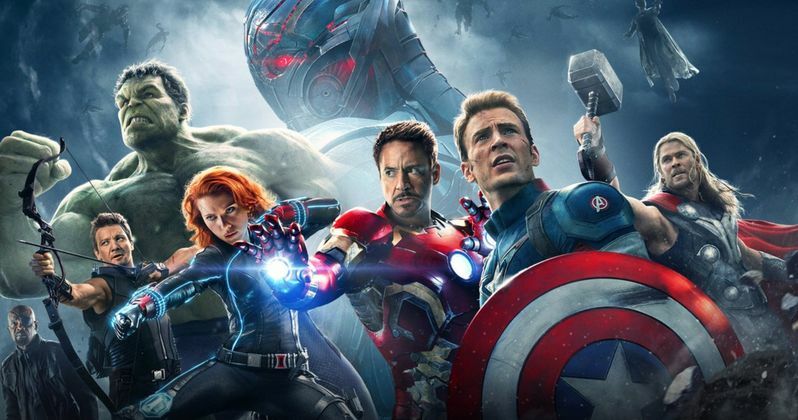 Whatever his failings as a person, I really like what Joss Whedon did with the challenge of bringing all these characters together and putting them through the wringer. One of the positive things about this sequel is that Jane Foster is at least an active participant in the proceedings. We’re introduced to the unlikliest Infinity Stone and get a bundle more comedy lines and the twistiest twist ending of all. The most memorable part of this movie is that it reveals Hydra infiltrated SHIELD years ago, and upsets the apple cart in a big way. We meet new allies, like Agent Carter’s niece Sharon, and discover that Bucky didn’t die after all. We also get our first hint that Cap\s personal view on right and wrong might lead him into confrontation with authority figures. I still love the first Guardians movie, though I have heard the soundtrack way too much and loathe every single song on it. Thanks for that, James Gunn! It’s still a fun ride, with the bonus of underlining the whole Infinity Stones ultimate power plot. Again, it was weird to be watching the sequel instead of bouncing off to a different group of characters, but it was nice to get a swift answer to that “Hey your father was a mysterious ancient being” line that is dropped casually at the end of the first movie. In terms of the greater arc, the only thing this movie does is add Mantis to the team and grant Nebula a step on her redemption arc. Also, I hate this soundtrack too. Really, the nostalgia for the music of the 80’s is overrated. Tony builds on his “causing problems by trying to save the world” theme of Iron Man 3, and we get a brief introduction to Wakanda here. There are the first signs of fractures in the team, and the addition of a couple of new recruits. My favourite part of this movie will always be Hawkeye NOT dying, despite the fact that he promised his wife he would come back to finish the renos. There was actually a groan in the cinema as he said it, and we were all wrong. After the “world in peril” stakes of Ultron, AntMan feels like a real downshift. Sure, the Yellowjacket super-soldier could be a threat to world peace and whatnot, but really we’re concerned with Scott getting through the day without being sent back to jail. It FEELS like an origin story, and it feels late int he series to be introducing someone. This is the payoff for Cap’s conflict over Bucky and the fracture lines we saw beginning in “Age of Ultron”. We also get to meet Black Panther. What’s interesting about this is understanding both sides of the argument – Tony wants some oversight, to try and prevent the guilt he feels over the innocent who suffer. Cap wants the freedom to do what he believes is right, what he’s “meant’ to do, since he has these strengths. I like that we get to hear just a small section of the story of those who are affected by the actions of the superheroes – not those rescued by them, or defeated by them, but the collateral damage. Every fight we have seen in the movies to this point has included massive structural damage, and it’s good to know that the writers think of the small people in their stories too. 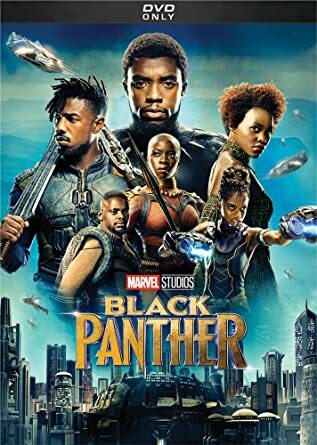 Introduced in Civil War, Black Panther doesn’t need an origin story, though in the opening of the movie we do get a potted history of Wakanda and the people who live there. Like many, many people, I loved the colours and sounds of Wakanda, and though I have to agree with my kids (why didn’t he just tell Killmonger that he had been treated badly and accept him as part of the family?) I enjoyed the film immensely and have rewatched it several times. Spidey also got a cameo in Civil War, and one of the fun parts of this movie is how those events were shown from Peter’s point of view. There’s also a more realistic look at the problems of being a superhero : how do you find crimes to stop? How do you tell the guy locked out of his own car from the professional car thief? And, obviously, what do you do when you find out your prom date’s father is a supervillain? (I admit, I don’t know if prom and homecoming are different things, and have no interest in finding out…). Despite the struggles, the film is fun and bears many rewatches. This was the first sequel where I found myself telling other people “Yeah, you maybe should watch a few of the other Marvel movies to get the most out of this one.” You don’t HAVE to, but it does make more sense if you do. I like this movie particularly because Evangeline Lily actually gets to do stuff, and it features Hannah John-Kamen, who is awesome (I’m a big “Killjoys” fan). From the trailers we’ve seen for Endgame, there’s a lot of significance in the plot of “Ant Man and the Wasp” with regard to the Quantum realm and time manipulation and stuff. Unless that’s all a red herring. There’s a recurring theme with me and these Marvel movies: Characters I’m not interested in get movies, and I enjoy them way more than I thought I would. It happened with Thor, Black Panther, Ant Man and then Doctor Strange. Again, there was a sense of “Wait, we have to learn about ANOTHER new character?” but of course he’s tied to another one of the Infinity Stones, so we have to learn who he is and how he became the master of the mystic arts. I found the film enjoyable, despite the American accent Benedict Cumberbatch had to put on, though I wish Rachel McAdam had more to do in the movie. This is THE family favourite. If there’s a three-way tie for the Friday night movie, we can always compromise with Ragnarok. The look of the film, the lines, the characters, and the story all work well for us. The only stain on the movie is knowing what comes next. Which brings us up to date. 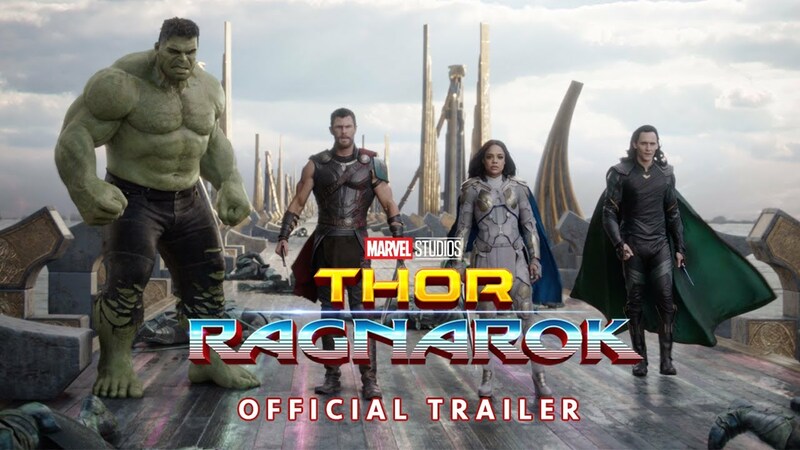 One of the things I admire most about this movie is that it allows the heroes to succeed in every way but the vital one – they defeat the minor henchmen, they stay alive against the odds, they drive off threats, and yet even when they band together and Thor produces his special weapon, Thanos (spoiler alert!) gets all the stones and clicks his fingers. It’s a tough job to do: write a story where both the villains and heroes are capable, and the heroes don’t win by default, and the villains don’t win because of an unlikely error. We’re hoping to go and see Endgame in the first week it’s out. I don’t doubt there will be spoilers galore, and I’ll do what I can to avoid them, but I spend a lot of time online, and some people delight in ruining these things. A few days before I was going to see “The Force Awakens”, someone posted a picture of Han being skewered by Kylo Ren. No words, just the photo, dropped into a timeline where people would not have a choice about whether or not they would see it. Because I knew it was coming, I spent a lot of the movie in a permanent cringe. These things matter. Don’t be a spoiler. I enjoyed rewatching all these movies, and I think we’ll do it again another time. They’re all still good, despite the fact that it’s been a decade or more that they’ve been being released. It was a bold strategy, and I’m glad it paid off, but I hope it doesn’t become the accepted norm. Not everything needs an interconnected universe to tell a story, and it’s telling the story that’s the important part of every movie. I grew up a cat person. In the first house I remember, we were adopted by a ginger tom cat from the nearby shipyards. He was named Gideon by my dad, and lived with us for sixteen years and a couple of house moves. When I met my wife, she had a dog called Sydney. We didn’t get on at first, because Syd didn’t trust my motives, and I wasn’t sure how to treat a dog. Once we had figured each other out, we became good friends. Syd came to work with me at Uxbridge, and we would walk the station grounds together at lunchtime, and he would try not to catch the squirrels. Thanks to Syd, I became a dog person. He lived to a good age for a terrier, gained an honorary commission in the RAF and a permanent place in our hearts. When he died, there was no question of replacing him. We continued dogless for several years, until we finally emigrated to Canada. One of the things we had been promising the Weasels was that, when we got a house, they could get a dog. As I’ve related often enough in this blog, we arrived in the March, and I was adamant that the dog would wait until the summer holidays. Moose arrived in June. For her part, Moose has always been a dignified old lady dog, except for the odd rip around the playing fields, or chasing squirrels. It was no problem at all to adjust to having a dog again, and Mrs Dim doesn’t like it when I settle down into a routine. She began to offer friends the chance to park their dogs with us when they went on holiday. This was good for Moose, she explained, but also good for me. The first couple of days are always chaos, but soon enough we settle down and having two dogs is quite manageable. Which of course meant that Mrs Dim went looking for a second dog. Frankie was a rescue, and she’d already spent three years on the streets, we think. She was nervous around people and savagely aggressive around other dogs. Walks became very stressful, and looking after other people’s dogs was right off the menu for a while. We took Frankie to classes, had one-on-one training, took her on pack walks with crowds of other dogs. Gradually, we started to get to grips with helping Frankie. So Mrs Dim started bringing in other people’s dogs again. Once that first day was over, Frankie accepted them as part of her pack, and everything was ok. Unless you wanted to cross the room, or eat toast in peace or something. This week, we’re playing host to two elderly Schnausers. The sheer amount of space four small dogs can take up is quite surprising, and the logistics of walking them, even when there’s two of you available for the job,are challenging. It’s nice, though, when you sit on a sofa next to three snoozing dogs, or when you fling open the front door to let all four go haring outside for the first time in the morning. It’s not been nearly as bad as I feared, which makes Mrs Dim smug. She’s doing this partly to knock Frankie’s corners off, and partly to knock MY corners off. She’s right, of course. Looking after the dogs has been a bit of a stretch, but stretching is good, and the next time I might not whine QUITE so much. Which is good, because the next dog that’s coming to stay is an enormous German Shepherd called Max…. Even though the last Fan Expo Vancouver was only in October, they decided to do it again in March. So, the chances of us renovating poor old Derek the Dalek in time were remote. I had already ceded the job to Mrs Dim and Eldest Weasel, but the latter wandered off to New Zealand for a month, and the former had great ideas but no time. Maybe we’ll take Derek along to Fan Expo 2020. MAAAAAYBE. Anyway, I’d built a “Tobias Beckett” from “Solo” costume, including sewing the coat from scratch (well, from bedsheets, but you get the idea.) Eldest Weasel spruced up her Time Lord outfit, Middle Weasel made her own mask to go as SallyFace (Look, I have no idea, and every time she explains it, my eyes glaze over and I can’t bear it.) Tiny Weasel had two ideas she worked on for a month, then on the morning of the event, she changed her mind and chose Vanya Hargreeves from ‘The Umbrella Academy”. She looked great, too. We arrived far too early (I was paranoid after parking trouble last time) so the halls were very sparsely populated. That made for excellent opportunities to check out the vendors, and as always there were some fantastic artists and creators there. But this year I took the plunge and went and had my photo taken with the 501st. They have nice backdrops and awesome costumes (hence the helmet envy of the title). I don’t think I’ll ever apply to join – they work really hard for charities, and their outfits cost a lot of money, but they are a lovely bunch of people. As is traditional, I’ll close with all the other photos I took – just a fraction of the wonderful costumes people wore. Looking forward to the next one – with Derek in tow, I swear! Why do you have unfinished or unpublished projects? You work hard on your manuscript. You produce anywhere from 50,000 to 100,000 words, right? That’s a LOT. So why, why on earth would you NOT submit that completed manuscript to a publisher? And if you haven’t reached the end, but you know the story and you have the drive, why not FINISH the story? A lot of authors who have made it (a term that covers so much ground it’s pointless trying to define it) will tell you they have complete manuscripts in their desk drawers (sometimes virtual desk drawers) that will never see the light of day. It can be an infuriating thought. Imagine, another Stephen King novel, or a Delilah S Dawson book that you can never read! Why would they do that? If a story is worth investing enough time and energy to type to completion, it’s worth reading, right? The sad answer is no. Like Terry Pratchett said, “The first draft is you telling the story to yourself”. Until that first draft is down, you have no idea, really, what the story is going to look or sound like to anyone else. And sometimes, you look at what you’ve got and you say “Yeah. That’s what I was thinking, that’s what I wanted to say, but it’s not good enough. It’s not right.” Sometimes that means draft two will come at the same story from a different direction. Sometimes it means you explore the same theme with a different story. Some of those drafts just go into the drawer. Years ago, I wrote a complete screenplay. I used some bespoke software that doesn’t even exist anymore, I worked hard, and I got from “fade in” to “fade out”, and I was really pleased with myself. Pleased enough that I sent it off for some feedback. What came back was a stack of notes. I began to re-work the screenplay from the notes, but it quickly became clear that the resultant story was not the one I’d written, and it wasn’t engaging me. If I didn’t like it, I wasn’t going to do a great job writing it. I still loved the original story, I was glad I’d told it to myself, but it went into the drawer. Not every story you tell will be for everyone else. Sometimes, we are the only audience we need for our stories. The start of a new year is a great time for new beginnings. We make resolutions, renew memberships, draw up lists. We pledge on social media to be better, to be more consistent, more productive. In the post Christmas calm, when work has shut down and we bask in the warmth of good food, gift-giving, family and friends, a new start seems almost inevitable. Neil deGrasse Tyson upset some people on Twitter by pointing out that January the first is only significant in the Gregorian Calendar. I understand why people were annoyed, but I think he’s right. If we’re only prepared to make a new start one day a year, what good is that? The day before the new year began, I tried to load up the file for my latest book, but it had corrupted, and all the work I had done up to that point was lost. One day it worked, the next day it didn’t. So, here’s the new year, and I’m preparing to make a new start on a project I was a third of the way through. And once that’s done, there are plays to write, sketches to produce, DIY and craft projects to take on. Each one will require a new start. Every day is a new beginning. Enjoy the next 365 fresh starts.